Due to the huge information flow, which we have to pass through ourselves daily, our brain needs a shake periodically. 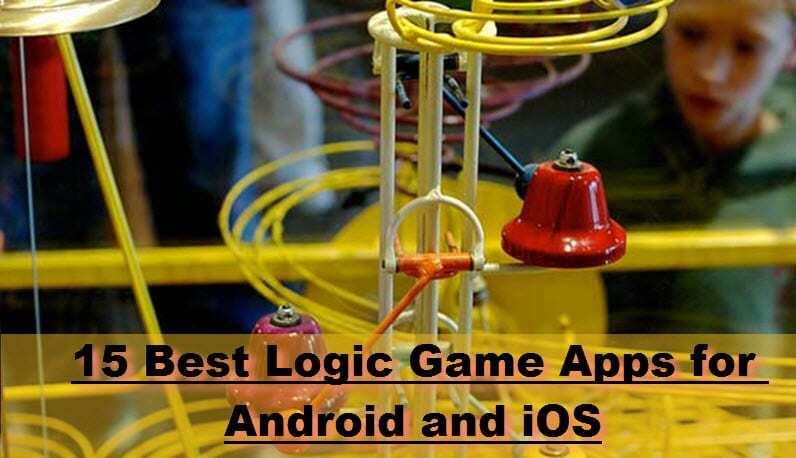 So, we have selected 15 logic game applications, which will be a great additional charging to our brain. 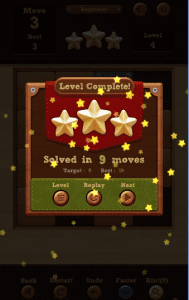 100 Logic Games – Time Killers FREE Puzzle Pack! Flow Free is a simple puzzle game app which is incredibly addictive. In the game, you need to connect the dots of the same color with lines. When connecting make sure that the lines do not intersect. But the thing is that you should connect all the dots on the screen. In the game, there are two modes: Time Trial with the time limit to pass the level and Free Play, respectively, without any time limits. All in all, Flow Free is a colorful puzzle game that allows you to escape from current problems and, at the same time, make you think. 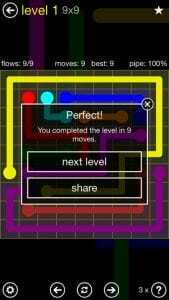 Bright colors, an absence of annoying music, different levels of difficulty will help you to pass the time. Try yourself at solving a puzzle and set your personal record among friends and family! Do you like playing sudoku and crossword puzzle? Would you like to try something new and not so boring? 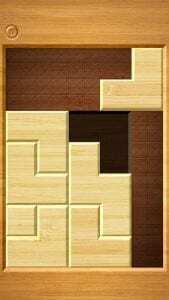 This app offers you many puzzle games which are more entertaining and fun! 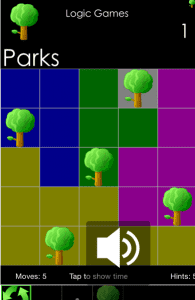 Each game has its own rules, features, and advantages (you can go through a maze, plant trees, solve math tasks, find connectins, build skyscrapers and more other tasks). You are just to choose a game you would like to succeed inю In the app, you can choose a level of difficulty, save your progress, use hints to continue playing when the task is too difficult. REBUS – Absurd Logic Game is a popular word game for Android and iOS, which will be interesting for adults and children. To solve riddles it is enough to tap on visual images and to type words in a special input panel. Under each picture, there is a block of encrypted clues, which can be activated by pressing on the screen of your device. For each puzzle done you are awarded gold coins and experience points, which will be useful for opening new levels, as well as buying tips. 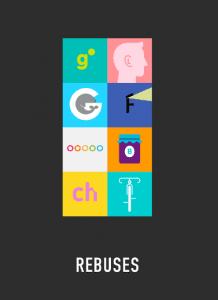 REBUS – Absurd Logic Game is absolutely free but has a built-in advertising. This popular word game has a stylish minimalist graphics and user-friendly interface. 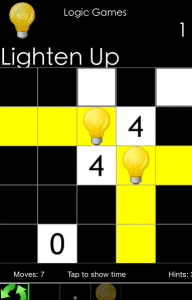 All puzzles look austere but very bright. There is no incidental music. The game makes you think logically. 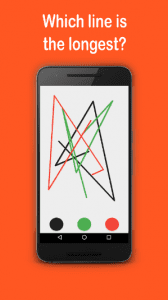 The goal of each level is to put shapes of different colors into a highlighted rectangle dragging them on the screen. Each level becomes more and more complicated. There are 90 levels. The app is available for iPhone, iPod touch, and iPad. The game is really addicting, so try to train your brains using it! This logic game app has two modes: Words and Numbers. Words mode is more complicated than Numbers one. According to its users’ reviews Numbers mode is more suitable for kids to train their knowledge in math, but it is too simple for adults. Although you can try the mode to check how quickly you can solve each task! As for Words mode, it is more exciting and makes you think. You should find words in the puzzle swiping over letters. There are different levels. You start from simple words (3-4 letters), then words become longer (up to 7 letters). They can go in different directions. When you have found a word, you can see its definition in built-in Dictionary. Just click on the word and check its meaning. 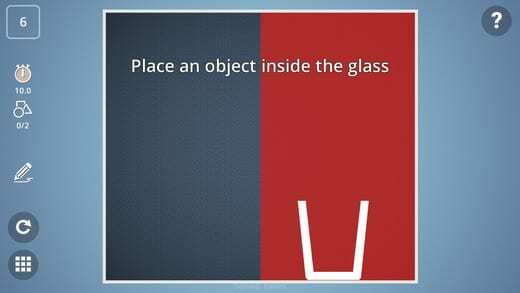 This is a fun intellectual game for training memory, speed, attention and color perception. You can play the game with your children and teach them how to distinguish different colors and shades. Your child will learn to think logically using Skillz. The game is also suitable for people of all ages and of different levels and skills. Here as well you can check how good your reaction. 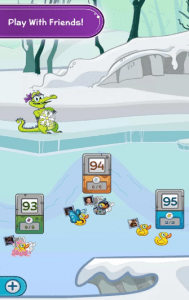 In the game, you will find a large variety of fun games, tasks, puzzles. You will be able to score points and advance through the levels. In the game, you can play in multiplayer mode. You can play as with your friends as with other players. The number of players in each game is from 2 to 4. Besides that you will be able to pump your mental capacity, you just get pleasure from the game. 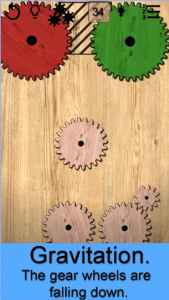 Gear logic puzzle is an addictive puzzle game based on physics. This game will be interesting as for adults as for kids. It is easy and enjoyable. The rules are simple: you should make all red gears to spin. For this, you have several conventional gears of different sizes. They can be moved and connected with each other. 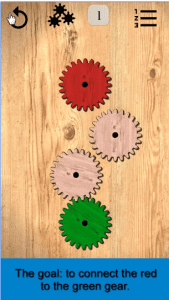 With their help, you need to transfer the rotation of the green wheel to others. 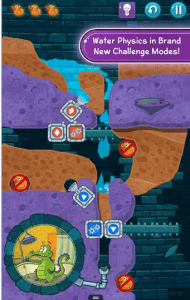 In the game, there are more than 300 levels and new tasks are constantly added. It works even without WiFi and Internet connection. You can play offline at any time. There are no time limits. Enjoy the game at any time, anywhere. 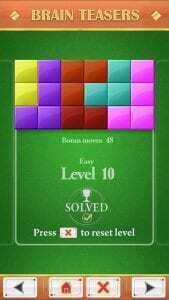 This free relaxing puzzle game with nice graphics will bring a lot of fun for children and adults. Brain It On! 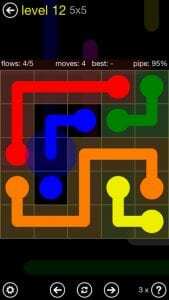 contains challenging puzzles for your brain. To solve physical puzzles you should draw different figures. It’s not as easy as it seems. But you should try! There are a variety of solutions for each puzzle. 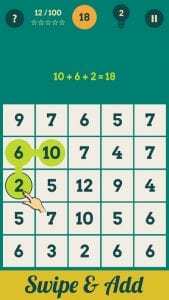 A lot of clever puzzles are added regularly. You can compete with your friends for leadership. Then, share you unique solution and compare the result with friends. 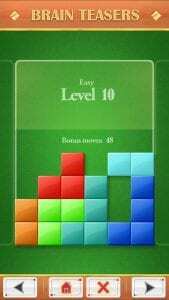 There are more than 100 levels for free, others will be available after paying. This app is very popular in many countries as it is a magnificent adventure game for everyone. The goal of the game is opened in its name: you should find how to open different doors to escape and go to the next level. 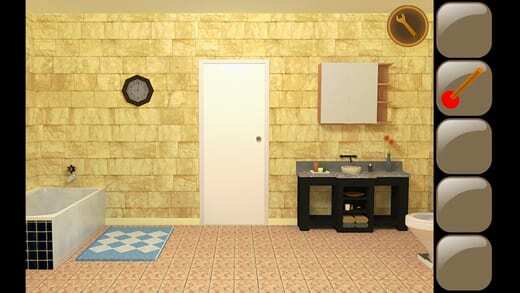 The themes of rooms vary and each level offers different adventures and tasks to solve. The app is regularly updated and new rooms often added. It is a simple puzzle game. The levels of That Level Again are similar to each other, but the passage is not. You are in a room where there are spikes, platform, the button and the door. It seems not such a complicated, is not it? Here are 64 not unique levels, but 64 unique passages. The immortal hero is constantly resurrected after death. The game is very unusual and interesting. 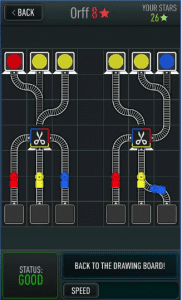 This game will appeal to many people, especially for fans of logic puzzles. The perfect game, even the simplicity of graphics doesn’t spoil it. Roll The Ball: slide puzzle – this is a simple addictive puzzle game that will entice you for a long time! 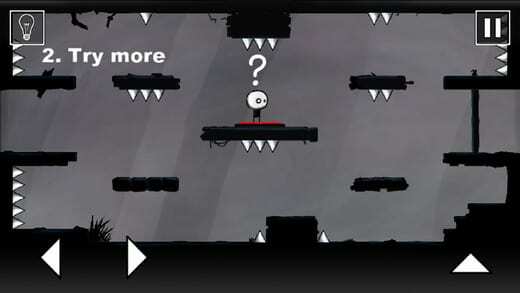 It has a variety of genres: slider puzzles, maze games, puzzles connected with physics, match puzzles, retro games, family puzzle games and others. You should move the blocks with your finger to move the ball to the red block with the words PURPOSE. However, the attached blocks can not be moved. This game will be interesting for adults and children as well. Here are tons of exciting levels and no time limits! The game can be played even without an Internet connection. 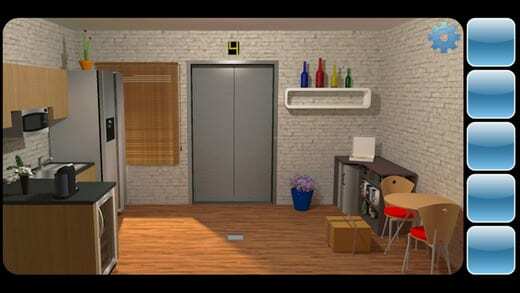 Can You Escape is the game with the intermediate level of difficulty. The goal of the game is to find all the things in the room you are needed and to open the door. Then, you will go to the next floor and do the same task. Now 10 different themed rooms are available for passage. The game is very interesting! It makes you think logically and train the memory. Graphics is very pleasing to the eye and without glitches.You will have an exciting time! Try it! 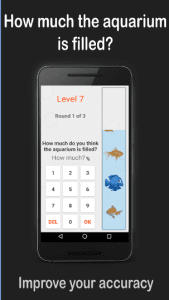 This is a logic-based game app created for kids. But adults can also enjoy playing it! It is so exciting! You will be offered one of the fascinating puzzles from Disney! The game Where’s My Water? 2 will open three absolutely new locations: Sewage, Soap factory, and the Beach. Attention! Rushes tunnels, guide water and steam to help Swamp and his friends! In the game, there are more than 100 levels in the updated underground world where you are waiting by Swamp, Allie, Cranky and Curious duck! You can connect with Facebook and compete with your friends! Where’s My Water? is the Disney puzzle, which has already got many awards and titles around the world. Applications of this series are already used by hundreds of millions of players. Join the community too! Cross Fingers is an amazing logic game app for everyone. Here are more than 150 levels with different levels of complexity. It helps to train your brain, imagination and logical thinking. Use your fingers to solve the puzzle. 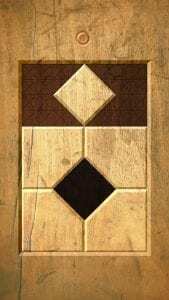 Move colorful pieces of wood in order to fill the puzzle shape. You can share your results on Facebook or via Twitter and challenge your friends! 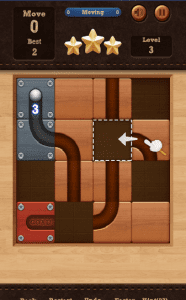 Trainyard Express is one of the best puzzle game apps for smartphones by users reviews. Currently, mobile games and puzzles, in particular, are greatly degraded and boring. This game is a breath of fresh air among miserable simple time killers. 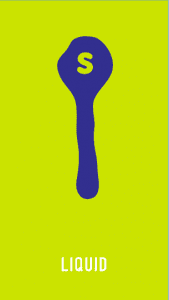 Just play it – the development of imaginative and logical thinking are guaranteed. Surprisingly, the free version has completely different levels, in contrast to the paid one. For what the developer may be awarded standing ovation in his coin box. The goal is simple: you should get each train to a goal station. Red trains go to red stations, blue trains go to blue stations, etc. 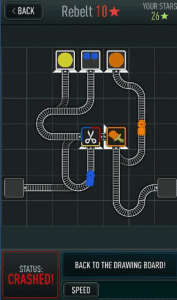 You control the trains by drawing a track for them to follow. There isn’t a time limit or even a score; the only thing you need to do is figure out a solution for each puzzle. In a whole, these applications significantly increase the productivity of memory, attention, concentration and brain as a whole, what greatly affects the quality of our lives, making it better, more interesting and more effective. We are starting to see, remember and think much more effective.